The final Rocky on Parade selection/draft was held this evening at The Forum (formerly the Illinois Theater), with 24 sponsors picking from 30 designs, mostly from area artists, students in the art department, etc., however, there was one special entry this year. 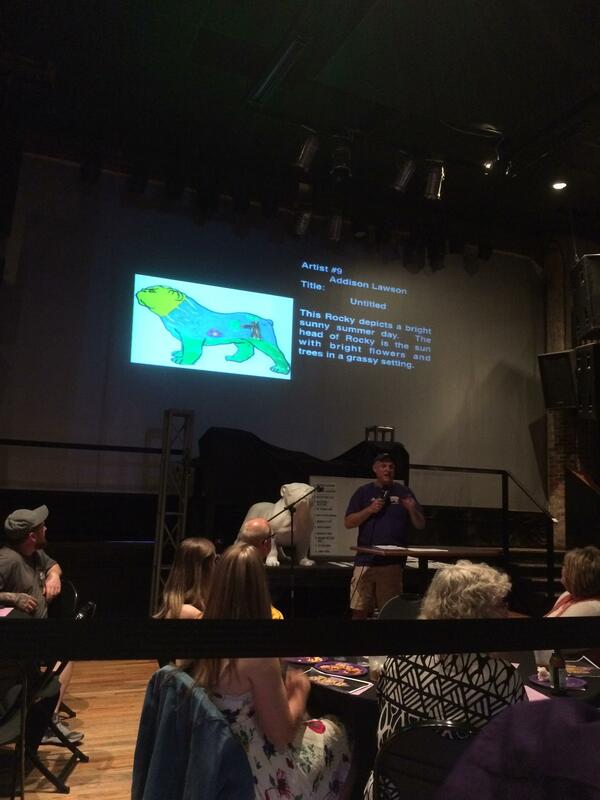 This year, there was a competition where all the grade school kids in Macomb were asked to design a dog. Hundreds of designs were submitted, and 10 finalists were selected. Of those 10, the community was asked to come out and vote for the one they liked the best in early January. The winner of that vote was then put into the mix of designs that sponsors could choose from to be made into a permanent Rocky statue. 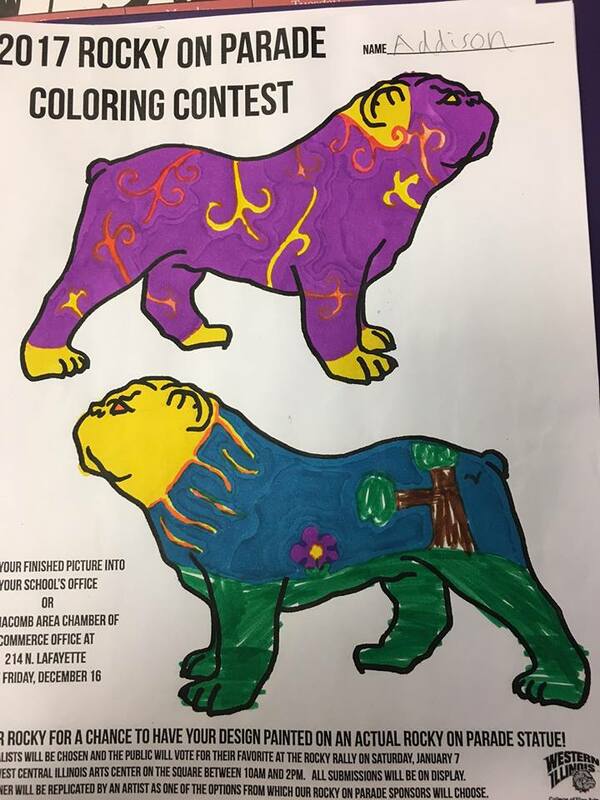 The draft was held, sponsors chose their designs and were matched up with their artists, and when all was said and done, one of the designs chosen was the design of a 9-year-old 3rd grader at St. Paul Elementary School. 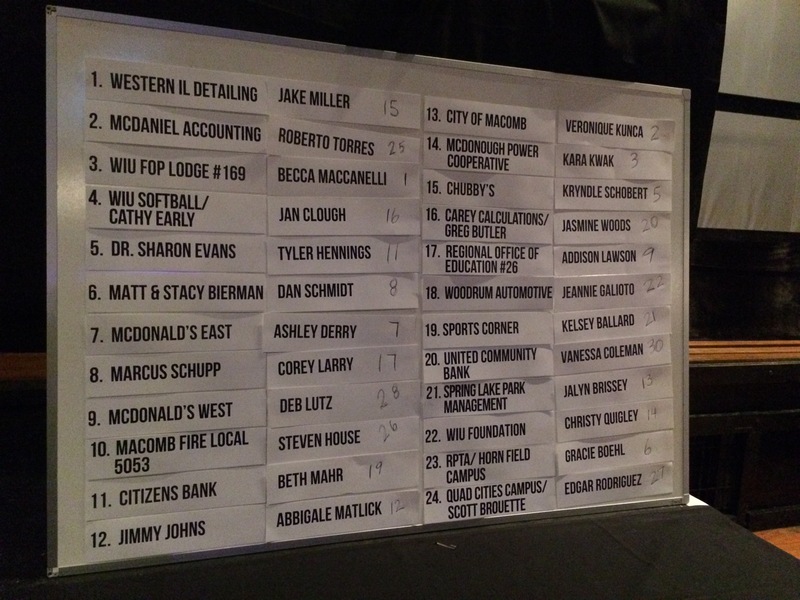 It was originally chosen by the mayor representing the "City of Macomb" at the #13 slot, but like any good draft, there was a trade when the Regional Office of Education (with the #17 pick) expressed a great deal of interest in it and worked together a three-way-trade involving Jimmy John's pick at #12. When it was all said and done, the child's design was matched up with the Regional Office of Education and will be one of the designs turned into an actual Rocky statue, unveiled at the Town and Gown banquet in September, and shown in the Homecoming Parade, then put on permanent display outside their office just off the Macomb downtown square. 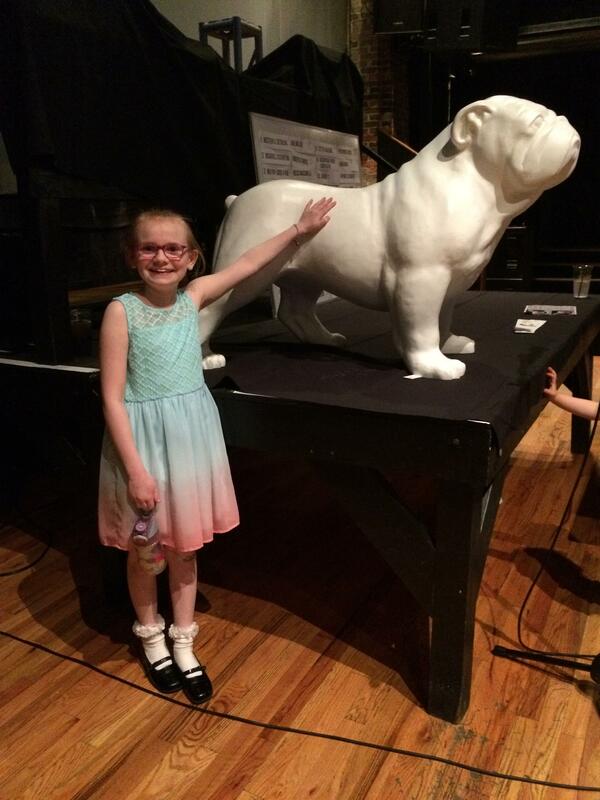 And if you're wondering why I'm spending so much time talking about this, it's because the design that won out of all the Macomb grade school students and was picked to be turned into a Rocky statue came from my daughter, Addison (hey, I run this site, I can toot my "proud dad" horn every now and then). I would think a winner would be Rocky lifting his leg on a state capitol replica. New addition to the flower bed last weekend. I seem to remember a few of you guys wondering how you could get your own Rocky statue. If you're in the Macomb area, there's a business (was part of the Macomb "Shark Tank" competition earlier this year) called The Crafty Coop, that is just off the square. They have a studio and a bunch of different items. The idea is, you go in, paint your "craft", then they fire it in their kiln and everything. Anyway, they have 7.5" tall Rocky statues available, if anyone is interested.